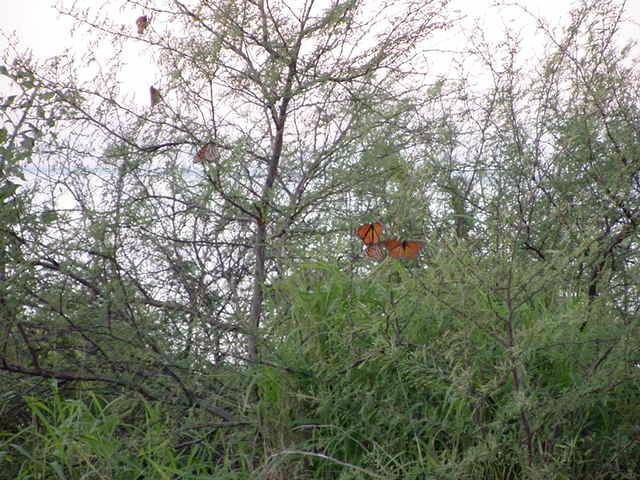 Loose clusters of monarchs after sunset, October 30, 2002, Lavaca Bay, Calhoun County,Texas. Thousands crossing bay all day. Many stopping to nectar, loose clustering forming in several locations after 5:30 pm.